And once again, I feel like it was the best yet. Each year I say that I think, and each year I truly mean it. 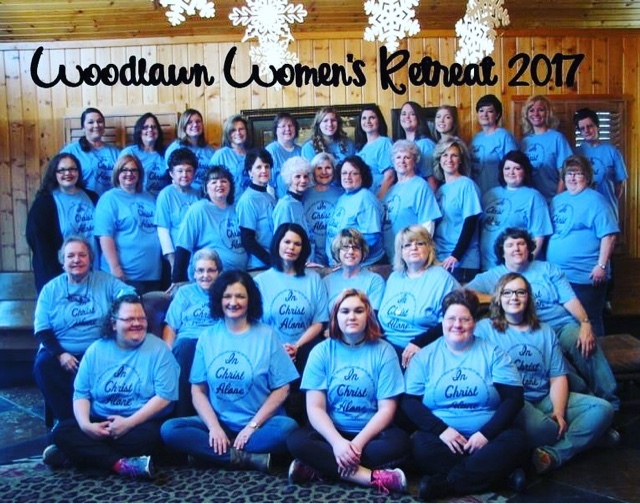 We stayed in a beautiful cabin with 35 women we had a wonderful opportunity for conversation! 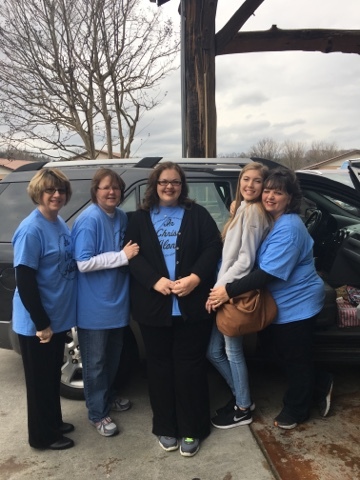 We stayed in a wonderful area of Pigeon Forge, it was so convenient to the places where we like to spend most of our time while we are visiting. 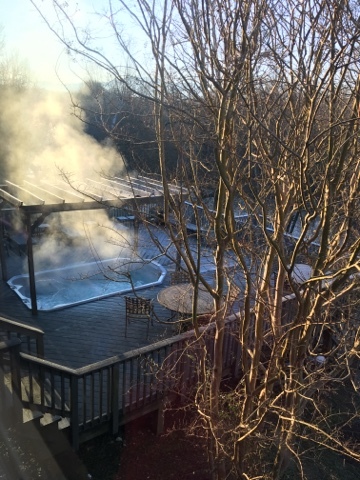 One thing I absolutely LOVE about these retreats is time in the hot tub.... we usually get in and chat with whomever happens to go with you. It's a great time to just talk and get caught up on one another. This cabin had the biggest hot tub we have EVER seen. I was somewhat like a small pool. I loved it! 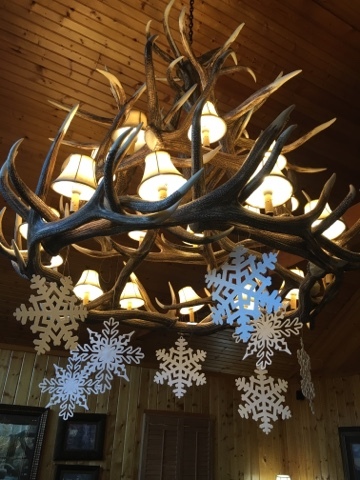 Look at that chandelier! It was HUGE!!!! A lot of good Bible study. A lot of good, clean, fun. A lot of sisterly love. A lot of great food. 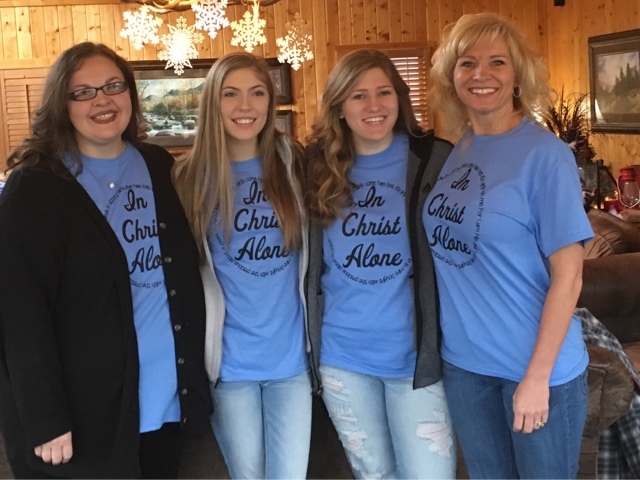 This years theme was "In Christ Alone" Such a fitting theme... the only good in me is " In Christ Alone". The only hope I have is "In Christ Alone".... my future is "In Christ Alone". I am thankful for that promise that He is always with me. 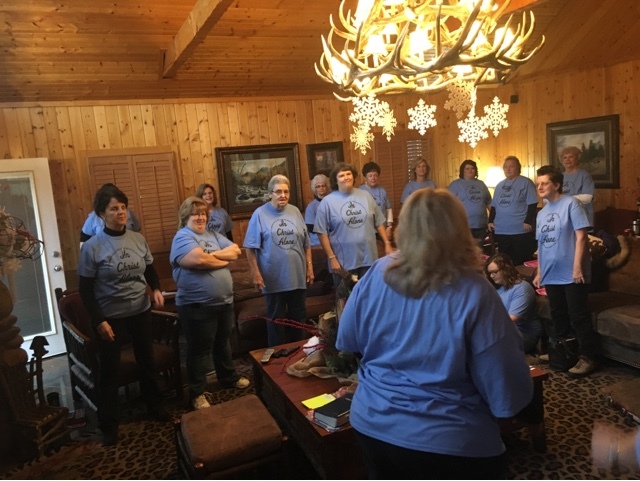 There were 35 of us ladies, with Bible studies each night and each morning we were there. 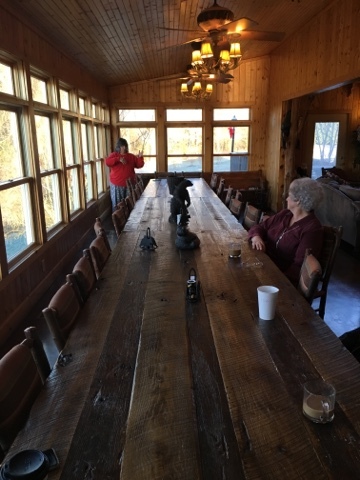 Look at this table!!! It seats 32!!!! I loved it! The cabin was built right beside this beautiful creek. 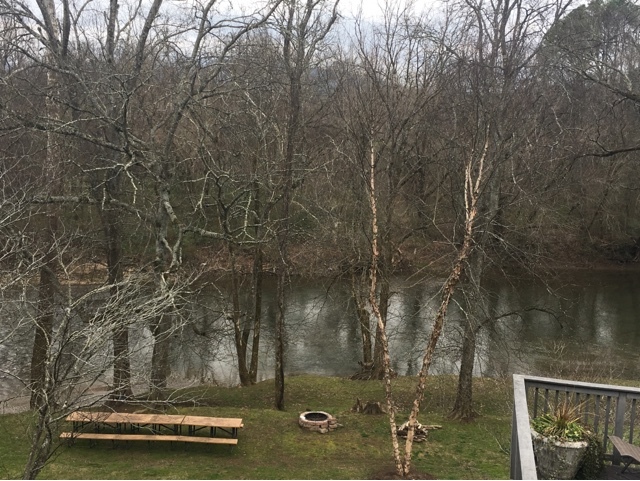 I can imagine if you were staying in the spring or summer it would be ideal for wading and playing and the homeschool mom in me thought of all the great nature studies that could happen with that going through your back yard! We saw a blue heron one morning wading. It was beautiful with its long legs and blue-grey feathers. The picture below is of me, my eldest, my eldest niece, and my sister-in-law. It's so nice to get together with women of the Lord and encourage and be encouraged to do the things God has called us to do.